Catch some laughs and learn with this wooden magnetic play set, complete with a working wind-up reel! The 10 magnetic fish are numbered and patterned to enrich matching, sorting, and counting activities. 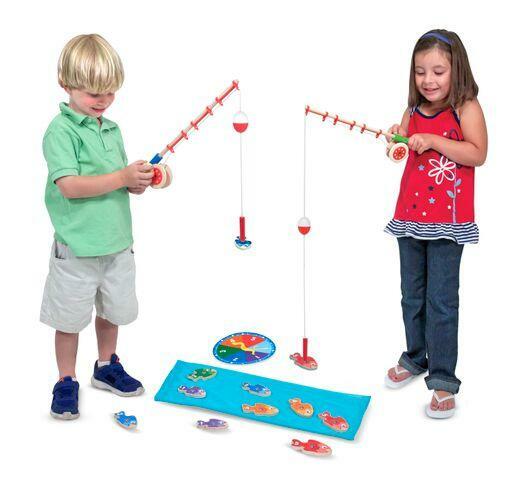 Comes with two wooden rods make collecting them a blast! Dimensions: L: 19" x W: 9" x H: 3"